In 2011, the open seat for the Mayor of Phoenix, the nation’s sixth largest city, attracted a crowded field of would-be Mayors. 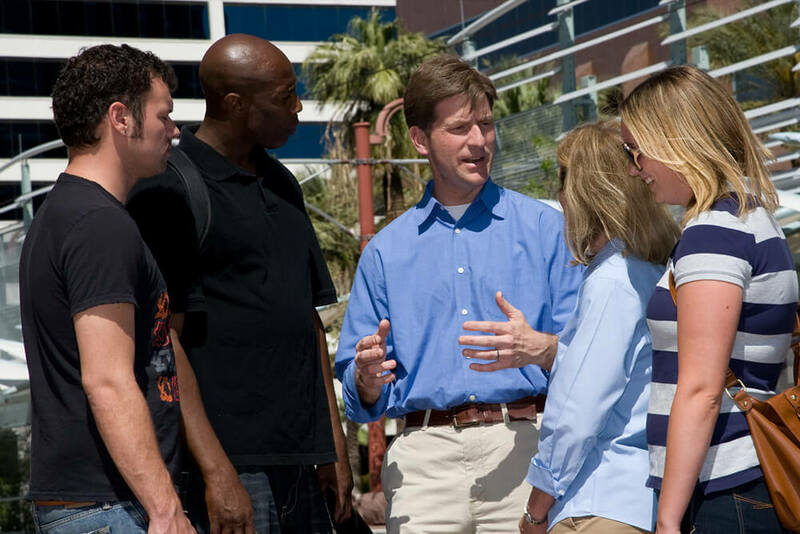 Greg Stanton, a former councilmember, lawyer and community advocate, asked Javelina to help communicate his vision for the city to the voters. No one parallels Javelina for their ability to develop a winning narrative directly targeted to the audience you seek to reach. There was no other choice to run my first campaign to be Mayor of Phoenix. No matter your goal, you want Javelina on your team. Their innate ingenuity, creativity and commitment to always going further for their clients is truly unique. DEFINE THE GOAL: Can you say “winning”? Just kidding. Well sort of. We did want to win, obviously. 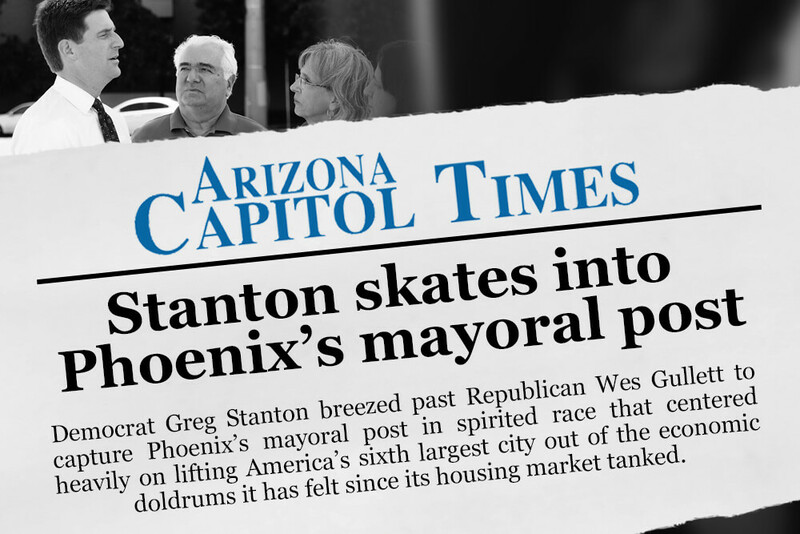 But Greg also had a vision for Phoenix he believed the residents of the city shared – a vision we could realize together. The goal was to spread the word and bring others into the club. IDENTIFY THE TARGET AUDIENCE: In an off-cycle, municipal election, we knew we were talking to a small number of high efficacy voters who knew a lot about city issues. We also knew we needed to expand the number of people voting in order to secure Greg’s victory. We developed a detailed profile of the voters we needed to reach — and a tailor-made strategy to reach each group. DEVELOP THE STORY: Our mission was to introduce Greg to the voters, and let the voters get to know him: a born-and-bred Phoenix boy, a community leader, and a man with a plan for the city. So we put all the pieces into the narrative, starting with his memory of his dad taking the city bus to his sales job at JCPenney, all the way to his detailed plan for Phoenix’s economic growth. 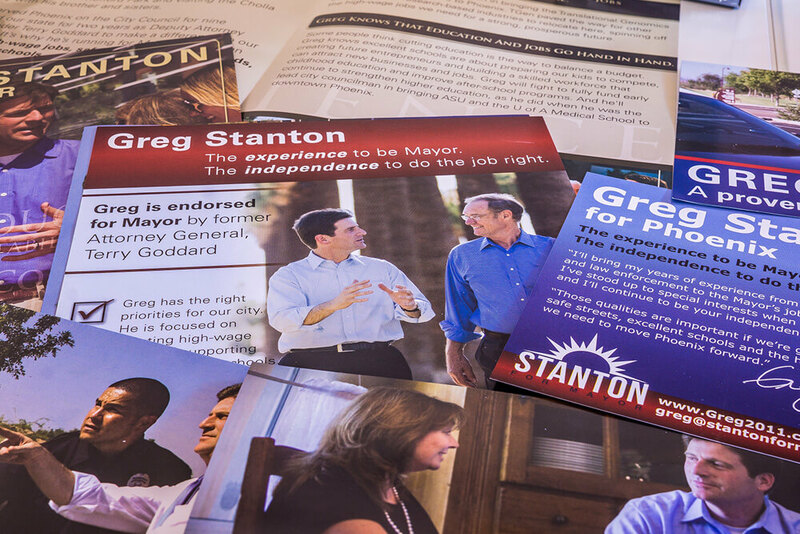 LAUNCH A MEANINGFUL ENGAGEMENT: On the web, via direct mail, and at people’s doors, we told the story of who Greg is and his vision for Phoenix. We painted a picture of Phoenix’s future that not only resonated with our target audience, but pulled them into a shared vision. Via our consistent and focused story-telling, voters met Greg, liked him, and voted for him. MEASURE RESULTS: Greg Stanton secured a decisive victory, beating his opponent by 12 points and achieving strong support in every council district across the city. Mayor Stanton’s leadership has seen balanced budgets for the city every year; more hiring of police officers and firefighters; a non-discrimination ordinance that helped Phoenix secure a 100% equality rating from the Human Rights Campaign; significant investment in citywide transportation infrastructure and a significant strengthening in trade with Mexico.